Happy New Year to all of us!!! (30.12) No.1178 – Karol Mlynka (hs=4; Back-to-Back; Chameleon Chess; Reverse Pawn). Dedicated to Ján Golha 60*. (29.12) No.1177 – Michel Caillaud (h#2; Anti-Circe Couscous). Dedicated to Pierre Tritten, “almost exclusive composer for Anticircé couscous”. (29.12) No.1176 – Juraj Lörinc & Daniel Novomesky (h#6; White Maximummer; Circe; Koeko; Grasshopper). (26.12) No.1175 – Arnold Beine (h008.5; Black Maximummer; White Maximummer; Sentinels; Anti-Circe). Glad to welcome Arnold’s problem after 4 years since his previous publication on JF, No.204! (25.12) No.1174 – Michel Caillaud (ser-==19). Inspired by No.1163 and dedicated to its author, Sébastien Luce! (24.12) No.1173 – Sébastien Luce (ser-#19; PWC; Scarabeus). A Christmas Tree! (24.12) No.1172 – Kostěj Šoulivý (h#2; Super-Circe; Empress; VAO; Grasshopper). (24.12) No.1171 – Ladislav Packa (h=2; Anti-Circe Calvet/Cheylan). Dedicated to all visitors of JF! (18.12) No.1170 – N.Shankar Ram (#4; combinations of different Leapers: Antelope; Wazir; Zebra; Giraffe; Corsair; Leaper(0,5)). (18.12) No.1163.1 – Sébastien Luce & Alain Bienabe (ser-==24; Alphabetic Chess). A joint improved version of No.1163. (17.12) No.1169 – Pierre Tritten (h#2; Anti-Circe Couscous Cheylan). (17.12) No.1167, 1168 – Vito Rallo: No.1167 (h#2.5; Messigny Chess; Take&Make); No.1168 (h#3; Messigny Chess). (14.12) No.1166 – Igor Kochulov (hs#2.5; SAT). 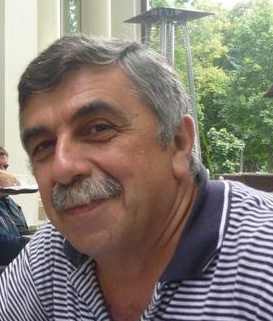 (13.12) No.1165 – Adrian Storisteanu (-4w & !=1; Grasshopper). (12.12) No.1164 – Henryk Grudziński (PG 14.5; Anti-Take&Make). (07.12) No.1163 – Sébastien Luce (ser-==22; Alphabetic Chess). (04.12) No.1162 – Ján Kovalič & Imrich Bandžuch (h#3; Tibet Chess). Warm welcome to Imrich in Original problems section of JF! 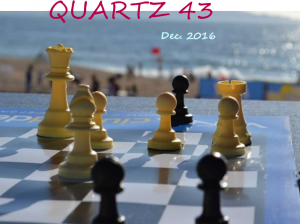 (03.12) No.1161 – Erich Bartel (ser-h#16; Alphabetic Chess; Anti-Circe). (27.11) Fairings No.51 – Chris Feather, distributed by Stephen Emmerson, is added to the Articles section! (27.11) No.1160 – Stephan Dietrich (#4; Triton; Marine Knight; Poseidon). (26.11) No.1158, 1159 – Chris Feather. Two problems related in theme, No.1158 (ser-h#21*; Circe Equipollents; Alphabetic Chess) and No.1159 (ser-h#18; Circe Equipollents; Alphabetic Chess). (12.11) No.1157 – Peter Harris (hs#2; Maximummer; Sentinels Pion Advers; Anti-Circe; Super-Circe; Anti-Andernach). (11.11) No.1156 – S.K.Balasubramanian & Vlaicu Crișan (h#2; Circe; Madrasi; Take & Make). Take&Make in all moves. (10.11) No.1155 – Juraj Brabec (h#2.5; Grasshopper; LEO). The selection of 40 out of 127 fairy problems of different kinds! A tremendous work done by the judge, Ofer Comay, in so short period of time! This is the first Award of JF I have a pleasure to publish for you this year, dear readers and participants of JF’s competitions, and I’m sure you will enjoy this presentation of 40 problems selected as the very best! 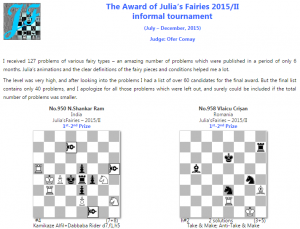 I have to tell that the both competitions of 2015, I and II, have the biggest number of problems since the first year of JF, 2012, with about 200 problems judged by N.Shankar Ram. I’m very grateful to the judge, and I heartily congratulate all authors of rewarded problems! My special thanks to all commentators for your interesting questions, creative ideas, and all good words to the authors of published problems! Finally, I would very much like to invite all readers to give a feedback to the authors of published problems, to tell those good words about the problems you liked, remembering that not only the improvements or critics are of the main importance. (04.11) No.1152, 1153 – Erich Bartel. Just 4 pieces in each problem: No.1152 (ser-h#27; Marguerite; Circe Equipollents); No.1153 (hs#3; Nightrider; Gnu; Madrasi RI).